Red colour all around me! Photo wallpaper - Red colour all around me! Meadows which are rich in red poppies are beautiful and it can’t be denied. Each one emanates amazing brilliance and breathtaking energy. Try to take a look and not admire it – it’s almost impossible. 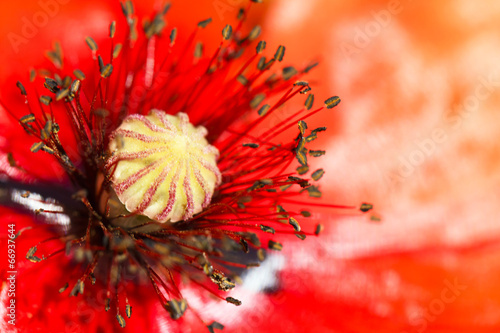 The photo wallpaper depicting red poppies will be a perfect addition to each interior of your house. It will do good both in the bedroom and living room.